Red Devils join chase for top Blues target. 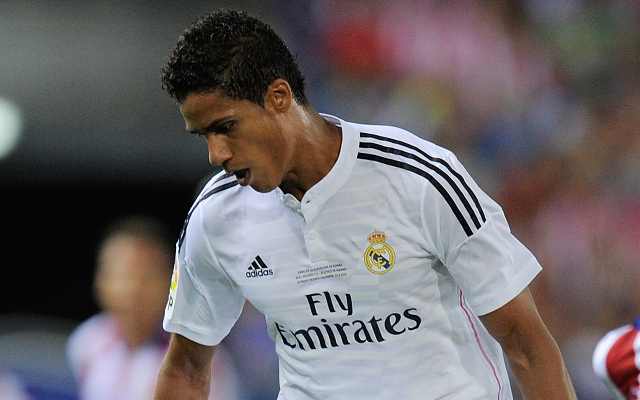 Manchester United are ready to rival Chelsea for the possible signing of Real Madrid defender Raphael Varane this January, according to the Daily Express. It is thought that the highly-rated 21-year-old could leave the Bernabeu for just £19m this season after finding himself down in the pecking order in Carlo Ancelotti’s first-team plans this season. Despite becoming a regular for Real in the last couple of years, Varane has competition from experienced big names such as Sergio Ramos and Pepe for a place in the Spanish giants’ defence, and he may now consider a move away to further his career. Chelsea are known to be long-time admirers of his, but United may now be ready to join the running as Louis van Gaal looks to strengthen at the back in the next transfer window. With the Red Devils spending so heavily on new attacking players during the summer, defence is now a priority for the club after an inconsistent start to this season. Varane could make an excellent long-term addition at Old Trafford, though it remains to be seen if he may favour a reunion with his old manager Jose Mourinho at Stamford Bridge.